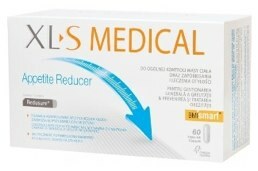 Rather eclipsed by the more famous fat binder sister product, XLS Medical Appetite Reducer apparently enables you to lose 2.5 kg in only two months. We have had several requests to review this appetite suppressor, from readers keen to know whether this product holds the key to consuming less. Reducing food intake and not over eating is undoubtedly among the best ways of losing weight. With the manufacturers claiming that the product can regulate the appetite utilising a natural and safe fibre, lets see whether the “appetite reducer” represents the solution to fewer calories. Omega Pharma are the makers of the XLS Medical Appetite Reducer. This company is located in Belgium and produces health and skincare products. 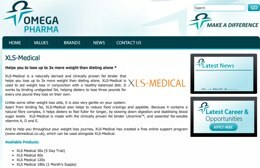 The XLS Medical Appetite Reducer belongs to the Omega Pharma brand of “XLS Medical” weight reduction supplements. Each product uses identical branding, which gives the impression that these are clinical pharmaceutical products. Actually though, they are all purchasable in stores, with no prescription required. Unlike the XLS Medical Fat Binder, the Appetite Reducer does not seem to be offered by Boots, and there are only a few stores in the UK that appear to stock it. There are several retailers in Belgium that offer this product, and it can be bought on Amazon. 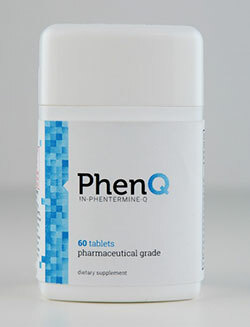 Users are advised to consume two to three capsules daily with water, about thirty minutes prior to their main meals. If you consume three capsules, then a box of sixty capsules will run out before the month is up. The XLS Medical Appetite Reducer purports to be an organic supplement designed to lower appetite, and tackle compulsive snacking habits. It is said to achieve this using a patented and clinically proven ingredient, which makes you feel full after a meal, and helps to quell your appetite once you get hungry. Consumed with a calorie controlled diet and frequent physical exercise, this product says it is a completely safe method of regulating and losing weight. Actually, XLS Medical boasts that users will lose 2.5 kg of weight, on average, within two months! Redusure(TM): This extract is made from Amorphophallus Konjac. It is rich in dietary fibre and water soluble. When it comes into contact with water, it can expand up to fifty times its’ original size. Apparently, this extract can facilitate weight loss via gastric enlargement (similar to a balloon effect). This delays gastric emptying and balances levels of blood glucose. 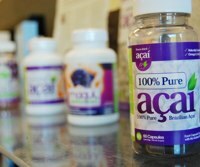 Several tests on Glucomannan (Konjac root) have indicated positive results, when it is consumed in the correct dosage. Regrettably, there is no mention of the ingredient quantities in this product. This brand has been featured in the media quite a lot, often to increase exposure prior to the “slimming season” at New Year. If you live in the United Kingdom, then you probably will have noticed the advertising of the “Fat Binder” sister product, with television adverts shown at prime time on many days. The manufacturers say that no side-effects will occur, although some customers have felt bloated and experienced stomach cramps. Do not take this product if you are a nursing mother or pregnant. Children under twelve, and people who have a BMI (Body Mass Index) below 18.5, should not take this product either. There is a noticeable lack of customer feedback about this product. On Amazon.com, no users have provided any feedback. As the official website has no testimonials, it is not possible to judge what customers think about it. The product is not new, so it has probably been overlooked, or maybe it is just not very effective. There is evidence indicating the advantages of Konjac Root, along with other dense fibres, in stimulating weight loss, mainly by stabilising levels of blood glucose and boosting satiety. 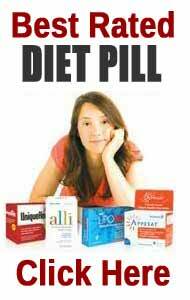 Unfortunately, all too frequently insufficient quantities are consumed in diet pills for any substantial effects to be noticed. Therefore, without knowing the ingredient amounts, it is impossible to know how well the Appetite Reducer works. 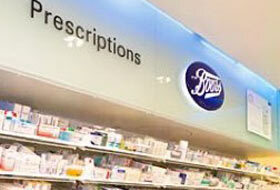 Can be purchased at reputable health supplement stockist online such as Boots, Chemist Direct And Express Chemist. 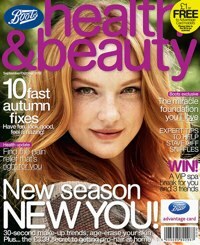 Also available over the counter at major high street pharmacies.